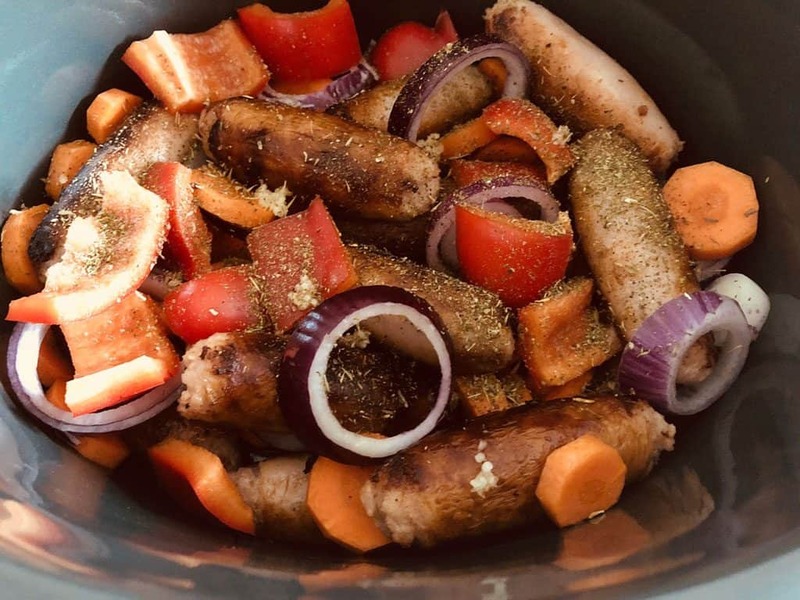 I don’t usually brown off my meat before putting it in the slow cooker (but I know plenty of people who do, it’s just a matter of personal preference), but in my opinion, with sausages, it’s a must. I have tried just chucking them straight in the slow cooker, and they really don’t taste good at all. The texture is too soft and they look anaemic. Plus it means I can drain off any fat from the sausages before putting them in the slow cooker. If I know I’m going to be in a rush in the morning I will brown them off the night before and just keep them in the fridge until the morning. If you have a slow cooker that you can put on the hob then you can do everything directly in that. If not, just grill, or lightly fry them in a pan. Once they are browned, add them to the slow cooker. You can add what fresh vegetables you prefer, just use what you have available. 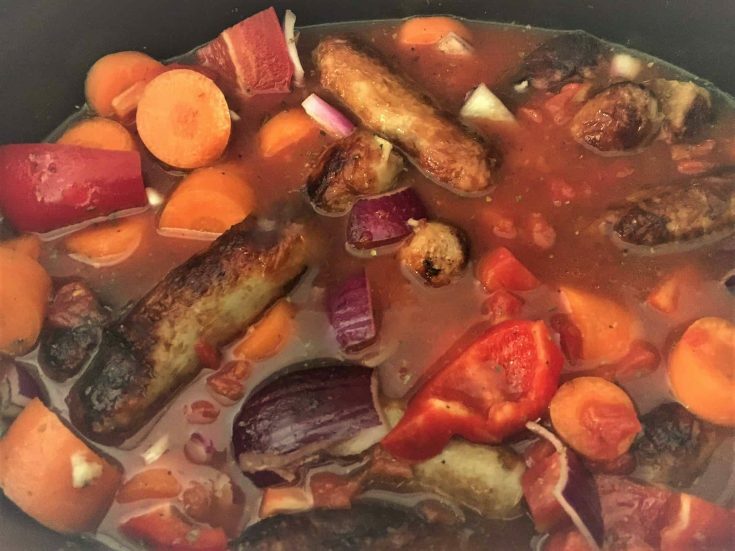 Such is the beauty of a sausage casserole! For this recipe I used 3 chopped carrots, 1 sliced red onion, 2 crushed cloves of garlic and 1 chopped red pepper. I also used 1tsp of mixed dried herbs. You can add some additional herbs and spices if you wish. Tins of chopped tomatoes are always a useful ingredient to have in the cupboard. I use them in lots of my recipes and will often stock up on them when the supermarket have them on offer. Just add them in with the rest of the ingredients. Add in 400ml of beef stock and give everything a good stir to mix well. How long you leave it on for is up to you. If you are going to be out of the house for a long time then don’t worry if it is left on for longer than 9 hours (on low). 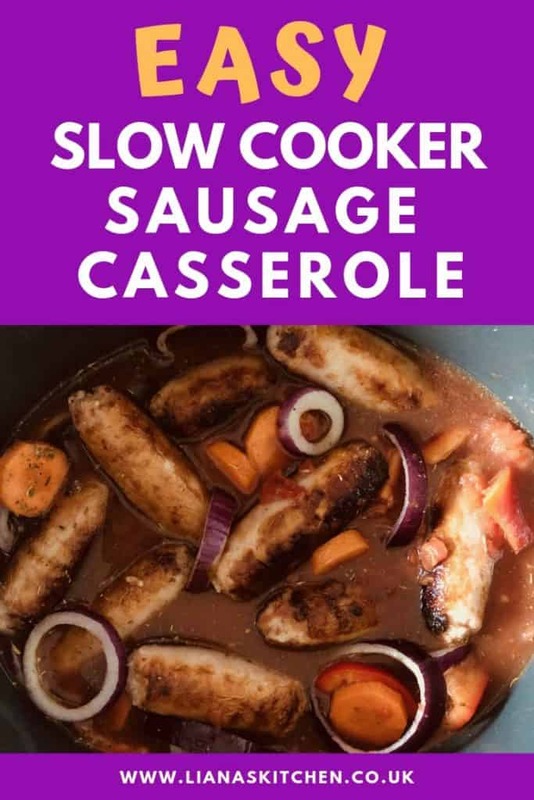 With this slow cooker sausage casserole you might want to thicken up the sauce a little at the end, depending on how you like your gravy. If you like it thicker you can leave the lid off for the last 30 minutes, or stir in some gravy granules, or corn flour. Tastes great served with mashed potato! Can You Put Raw Sausages In A Slow Cooker? Yes you can put sausages in raw, but they’re not going to taste that great. Not only will they remain the same colour as they went in, they’ll also be the same texture, that is, soft, squidgy and not really that pleasant! 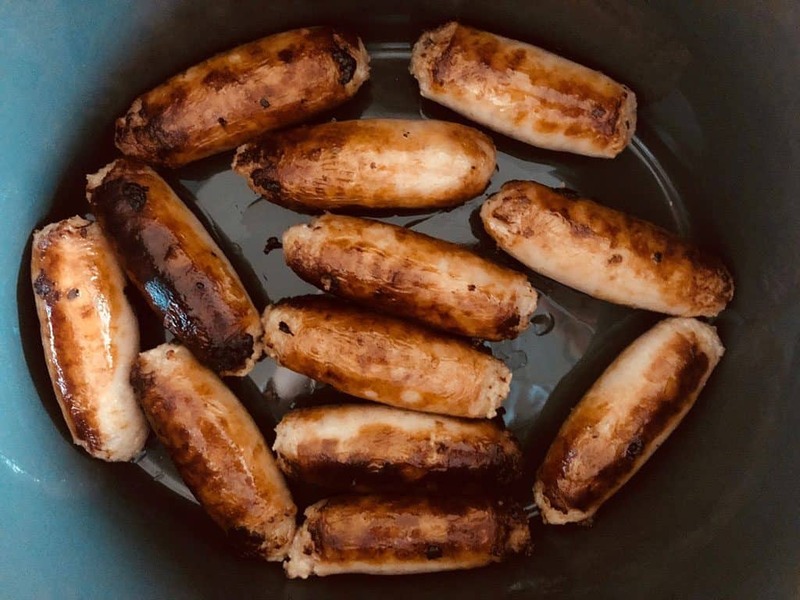 So, do your taste buds a favour and quickly brown them sausages off before you put them in the slow cooker. 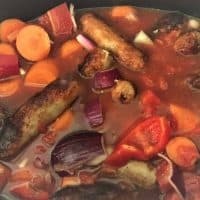 How Long Do You Cook Sausages In A Slow Cooker? 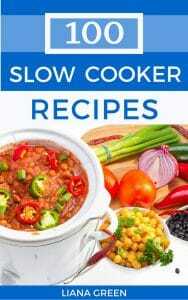 How long you cook sausages for in a slow cooker will depend on how much time you have. I like to put mine on early in the day so that I don’t need to think about it anymore, so I’ll usually put it on low for 7 to 9 hours. 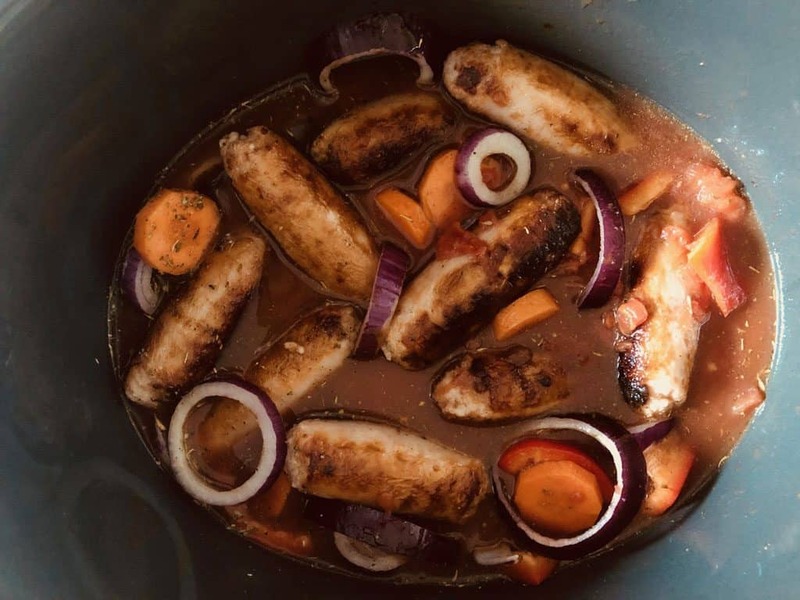 But, there are always those days where I forget or I’m just generally running behind on life, so if I need to put the sausages on high in the slow cooker I’ll leave them in for around 4 hours. 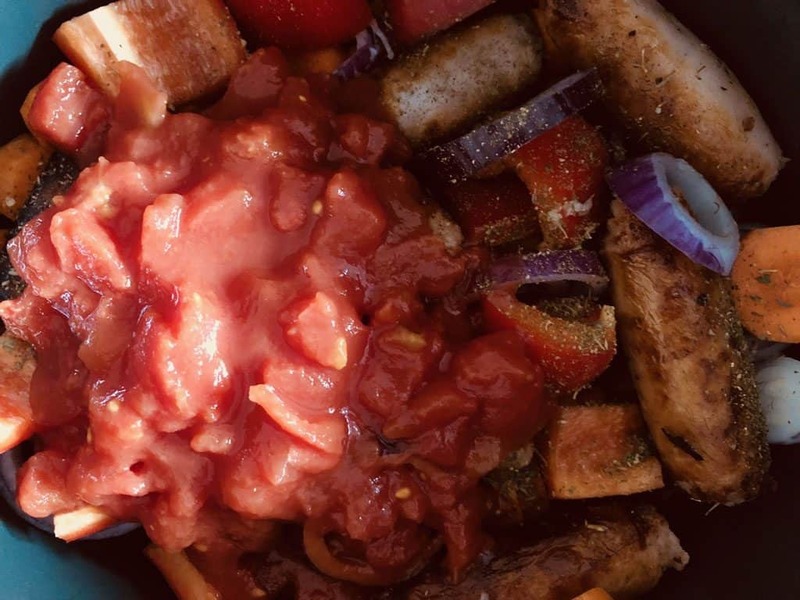 Can You Put Frozen Sausages In A Slow Cooker? People have differing opinions on cooking food from frozen in a slow cooker. Personally I would never cook something from frozen in a slow cooker and so I can’t recommend putting frozen sausages in a slow cooker. Can You Freeze Sausage Casserole? Yes you can freeze sausage casserole. Allow it to cool completely and then transfer it into an airtight container and pop it in the freezer. It can keep in the freezer for up to 3 months. When you are ready to use it just remove it from the freezer and allow it to completely defrost. Then reheat it in a suitable container, making sure it is heated all the way through. Top Tip: Date and label the container in your freezer so you don’t forget what it is! Did you enjoy this recipe? Let me know in the comments! A warm and comforting slow cooker sausage casserole is the perfect end of day meal! Be as flexible as you want by adding in all your favourite vegetables. Brown off the sausages under a grill or in a little oil in a pan. Drain off any fat and add to the slow cooker. Add the remaining ingredients and stir to mix together. Cook on low for 7 to 9 hours or high for 4 hours. Serving suggestion: Serve with mashed potato and green veg.